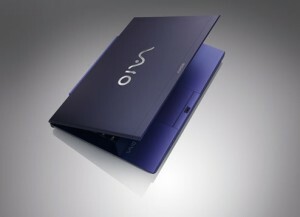 The new range of Sony VAIO S Series (SB) has hit the stores. The Japanese tech giant Sony recently launched a new range of lightweight laptops - the Sony VAIO S Series (SB) -- which have received thumbs up for their ultra-portability and stylish designs. The laptops weigh a meager 1.72 kilograms and have a 13.3 inch backlit LED display screen. The laptop itself is very sleek, as thin as 1 inch. Although other laptop manufacturers like Dell, HP and Compaq have lighter laptop models, they lack the configuration to back them up. Even Apple's Macbook Air loses out to Sony when we compare weight versus muscle power of the laptop. The only laptop that comes close to being a true competition to Sony VAIO S Series (SB) is Acer's TravelMate TimeLine X, which runs on Windows 7 OS, has an Intel Core i3 processor with processor speed of 2.53 GHz, weighs at 1.35 kilograms and it has an 11.6 inch LED backlit screen. Another unique feature of the Sony VAIO SB Series laptop is the "Speed/ Stamina" button, which can help you quickly shift between better performance or longer battery life. Unlike other laptops which offer this as a software option, the decision to make it a hardware one will swing the votes towards Sony. The manufacturer claims that the laptop can run up to 6 hours without a charge on Stamina mode while the Speed mode gives you better graphics and multimedia experience. The laptops also have a backlit keyboard which is handy for typing when you are working at night. The keyboard also has a few handy buttons called VAIO, WEB and ASSIST. The ASSIST button links directly to VAIO Care software that helps maintain and troubleshoots any PC issues and the WEB button gives one touch access to the Internet without full boot into Windows (note - you'll have to set up Wi-Fi first though). It does so with the help of Linux based software, and this is a feature that many new laptops have introduced over the past one year. But the coolest feature of the laptop is the VAIO button; the laptops have an inbuilt motion sensor which gets activated once you open the media centre through the VAIO button. With this you can change music tracks, browse pictures and videos with just a wave of your hand, without having to even touch the laptop. You can pause or resume a song, video or a slideshow too from a distance- wave left to right to change the song and scroll through pictures. If you want to pause or resume just wave the hand up and down. The Sony VAIO laptops run on Windows 7 operating system, have 4GB of RAM and the hard disk space varies from 320 to 500 GB on different models. The cheapest model runs on an Intel core i5 processor with turbo boost up to 2.90 GHz while the high end models have i7 with turbo boost up to 3.40 GHz, meaning they can handle multiple applications running at one time with ease. Graphics are provided by AMD Radeon with a memory of 512MB or 1GB depending on the model and the laptops also come with a fingerprint sensor. There are currently four models of Sony VAIO S Series (SB) series in India and they are priced at Rs 56,990 for the VPCSB16FG/B model, Rs 62,990 for the VPCSB17GG/B model, Rs 69,990 for the VPCSB18GG/B and the top of the line model VPCSB19GG/B is priced at Rs 109,900. All in all, the Sony VAIO S Series (SB) laptops are handy devices but thanks to the price tag, we would say that they are for those who choose style, size zero and have deep pockets.